The primary concern for people who are overweight or obese is how to lose weight. While it is a well proven fact that a calorie controlled diet and exercise result in healthy weight loss, there are also other techniques which support your weight loss efforts. There are certain supplements which help with weight loss. Some minerals contained in the fruits, vegetables, meat and poultry also promote weight loss. Some have the effect of boosting metabolism while a few others inhibit fat absorption. Zinc is one such mineral that plays a leading role in your weight loss efforts. Along with magnesium and vitamin D, zinc is very important to raise your metabolism and lose weight. You can get the recommended zinc intake from your diet. But if you are low on zinc, it is recommended to take supplements. Too much of zinc intake can cause toxicity. So be careful with your intake of zinc supplements. How zinc promotes weight loss? 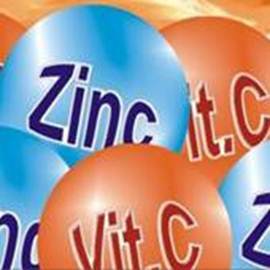 Zinc acts in two ways to enable weight loss. Firstly, it helps to boost metabolism for faster fat burning. Secondly, it helps to control your appetite by suppressing the activity of the hunger hormone, ghrelin. It is a well proven fact that higher metabolism promotes greater fat burning. The thyroid gland is responsible for regulating our body metabolism through the secretion of the thyroxin hormone. Under activity of the thyroid gland will slow down your metabolism and hamper your weight loss efforts. Through adequate intake of zinc which is possible by including zinc rich foods in your diet and intake of zinc fortified cereals, the thyroid gland secretions can be regulated. As your metabolism revs up, greater is your fat burning capacity. As a result of higher fat burn, you consequently attain weight loss. Hunger is caused due to the ghrelin hormone. Zinc manipulates this hormone thus suppressing appetite. Overeating is prevented and the reduced calorie intake as a result of suppressed appetite helps to promote weight loss. In addition to weight loss, zinc has numerous other health benefits. It helps in the proper functioning of the digestive system and immune system. It plays a vital role in protein synthesis and cell production. Zinc also helps to control diabetes and reduces stress levels. It helps in energy metabolism and helps in faster healing of wounds and acne. Zinc is also vital during pregnancy, to treat eczema, nightblindess and hair loss. The enzymes present in our body help with various functions and over 300 different enzymes require zinc to perform optimally. Foods which are rich in zinc include meats, oysters, crabs, pork, chicken, oily fish, whole wheat grain, peas, turnips, spinach, mushroom, oatmeal, ginger, peanuts, cashew nuts, pecan nuts and pumpkin seeds and squash seeds. Get your recommended intake of zinc by including the above foods in your diet. You can also take zinc supplements to help raise the zinc levels. Eating a balanced diet helps to provide you with the required minerals and vitamins thus ensuring that you attain weight loss.